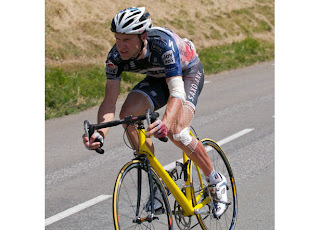 Photo downloaded at Velonews, here. Everybody has seen the yellow cars and motorcycles during races. The assistance team was established in 1973. The motorbikes are seen with many spare wheels while the cars have both bikes and wheels. Many has asked what the kind of bikes Mavic has, and many have been speculating what brand it is. Some says Cannondale CAAD bikes, others claim to have seen Litespeed bikes and some have seen Scott bikes. Anyway, they are a major help for the riders, not exclusively for the pro circus, they have been present in amateur races as well. Of course it is the small element of advertising involved, but I can live with that. In stage races you seldom see riders use the neutral car or bike, because the team cars normally follow quite close. In the spring classics, the distances between the riders and team car can be long, remember Tommeke in the Arenberg forest? A flat or mechanical in the classics can indicate game over, while at the tour and giro, you might have some chance left. 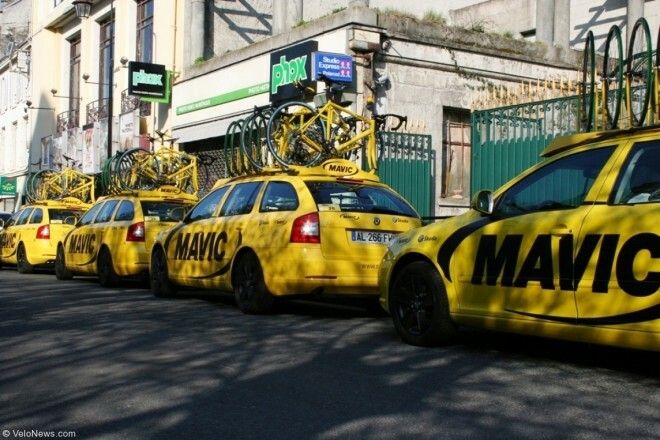 The Mavic teams are often seen follow breakaways and they can make a real effort if a rider get a flat. 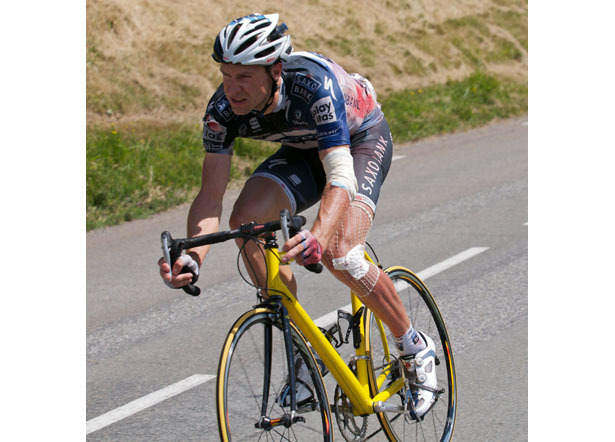 Velonews wrote an article about the Assistance team in 2010, many pictures here. Notice the pedal clips. Since there are many types of pedals on the market - Mavic made it easy. Richard Mitchelson tweeted this wonderful film on twitter today. It gives a glimpse of how hectic it can be working from a neutral motorbike or car. Have a look!